$1,927.00 – $4,199.00 On Sale! There are three firmness options: soft, medium, and firm. 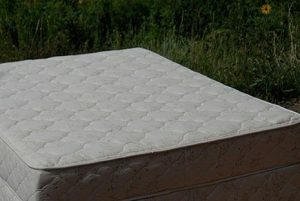 If you do not want your latex split between each side of the mattress, please just choose Soft, Medium, or Firm. If you would like your firmness level split between sides, please choose, for example Soft/Medium for soft on one side and medium on the other. If you would like the same firmness level on each side and you would like the layer split, please choose, for example, Medium/Medium (please note, we cannot split latex on Twin or Full mattresses). Product is made to order. Typically ships from the manufacturer in around one week via Fedex Ground. Add a manufacturing rush so this product will ship from the manufacturer in 1-2 business days (will still ship via Fedex Ground). 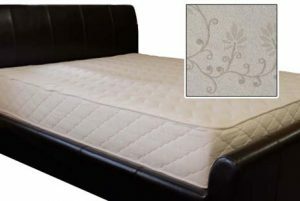 -These organic mattresses passed rigorous national flame-retardant standards without the use of toxic flame-retardant barriers or chemicals. 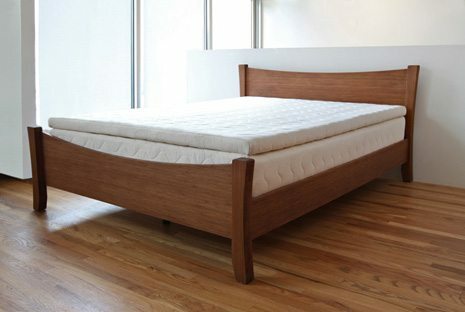 Our mattress actually passed these rigorous standards just by using naturally flame-resistant organic wool! 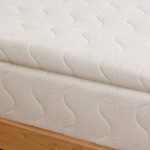 If you aren ‘t completely satisfied with the comfort and/or firmness of your mattress, you have the option of changing the firmness of latex layers. More info about our 90 day comfort guarantee. The pillowtop is a 2″ soft layer. 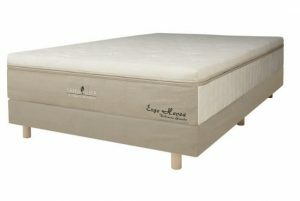 The mattress has three, 3″ layers of dunlop natural latex that can be ordered soft, medium, or firm. 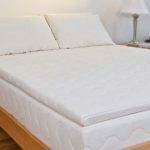 You can then decide whether you’d like solid layers of latex, or whether you’d like it split down the center to allow for different firmness on each side of the mattress. Many people prefer to place the softer layers of latex on the top with the firmer layers toward the bottom. But the options are endless, and it is entirely up to you! We recommend that customers choose layers softer than they might expect to like. 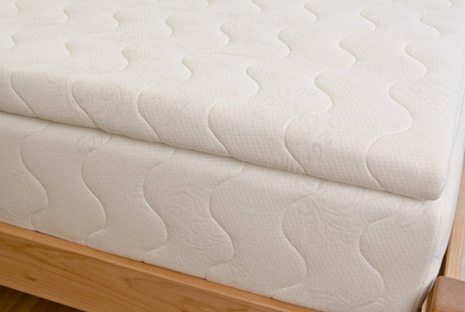 Once you receive your mattress, if it feels too soft, you can alternate layers. 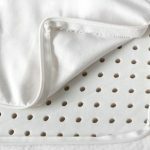 Simply move the softer layers down in the mattress and move firmer layers up to discover your personal ideal in comfort and firmness level. 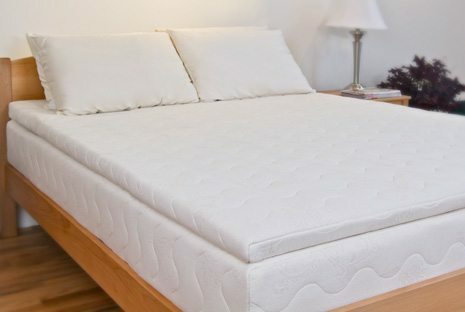 For example, if you choose the following layers, soft top layer, medium middle layer, and firm bottom layer, and the mattress feels too soft, simply flip-flop the first and second mattress layers so you end up with a soft pillowtop, and then medium, soft, and firm in the base mattress. Read more about customizing your mattress. Some people wonder if the split in the latex can be felt. The good news is that we have constructed our organic mattress to have a seamless feel in the middle. Though you will notice the difference between a soft and a firm, there will certainly not be a hole or gap in the center of your bed. If you are concerned, you could choose a solid layer of latex for your top layer and then choose split layers for the bottom 2 layers. 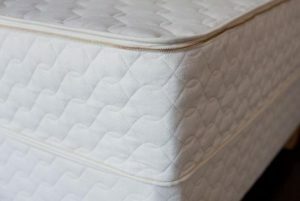 All mattresses include a zipper on the bottom, offering you maximum flexibility. Since your mattress was designed by you, we think you should be able to change and adjust it too! 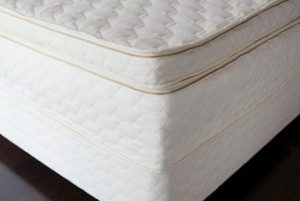 Once you receive your organic mattress, the latex can be placed (in any firmness combination) into the organic cotton and wool cover, and zipped up. What should you place the mattress on? 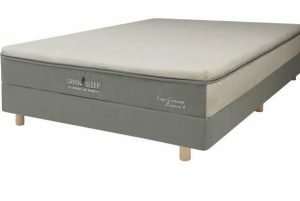 A Bella Sera organic mattress should be placed on a flat surface, ideally, a platform bed or wooden slat foundation. We prefer slats so that air can flow beneath the mattress, slats should be no more than 3.5″ apart. 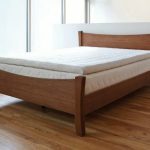 A platform bed frame, is perfect for this mattress, which eliminates the need for a box spring or foundation. Pair your Bella Sera Nove 3 Pillowtop organic mattress with a Platform Bed Insert which will replace a boxspring or foundation. This unupholstered Platform Bed insert allows you to convert your traditional bed frame into a platform bed. This solid wood insert features tool free assembly, maple hardwood and poplar slats. 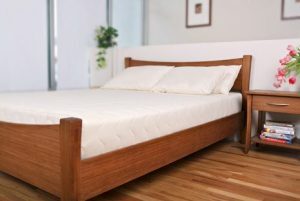 The Platform Bed Insert is an either five OR seven inch tall insert designed to fit in a traditional bed frame, replacing a box spring or foundation. Slats are 3 inches wide and spaced 2.5 inches apart. Featuring solid maple construction and fourteen poplar slats, the wood is finished with a fine sanding and no coatings resulting in a zero VOC product. 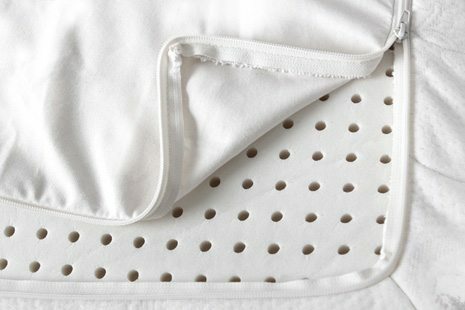 This frame provides support and breathabilty for your mattress while the simple construction allows for tools free assembly for easy shipping and moving. We purchased a new Bella Sera Pillowtop organic mattress from you approximately two months ago, and I just wanted you to know we love it. It’s just what we needed. The way it holds you almost feels like floating on water. A smart decision we’re pleased with. Thank you!